Events to be held in different parts of museum grounds. Meet our four sheep and talk with Debbie, our “Sheep Lady” who takes care of them. Discuss natural dyes with the Master Gardeners who are rejuvenating Scotchtown’s formal and kitchen gardens. Watch as expert spinners and weavers take you through the steps needed to create cloth in the 18th century. Try you own hand at carding wool and dyeing fabric. 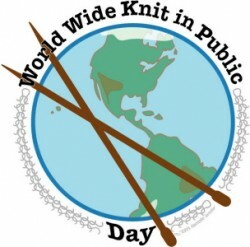 Or just bring your knitting needles and join others knitting in public! Bring your own water, snacks and knitting supplies. We have several park benches but you are welcome to bring your own chairs or picnic blankets.